The Marketing and Communications Manager will report directly to the CEO and be responsible for managing the development and delivery of marketing programs to increase penetration of our services. In this role you will be responsible for developing messaging and positioning for the company and its brand, working with the the corporate team to craft compelling messaging and ongoing communications program, to support sales team as well as social media activity. § Manage the marketing launch plan process, working with key stakeholders to develop integrated launch plans, coordinating with external suppliers to execute advertising, promotions, customer outreach programs, PR, and media outreach. 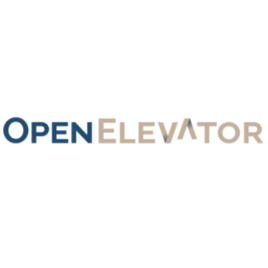 OpenElevator is a Talent Selection Platform with a sophisticated matching algorithm and a hiring-process management tool to help you easily hire the right candidate. We address talent recruitment, reassignment and retention by delivering a powerful and intuitive dashboard that includes each applicant's compatibility ranking and values alignment with you and your organization. In addition, you get answers to your bespoke questions so you can effectively screen candidates on the dimensions that are important for you - to help you easily select your top candidates. » Work with the utmost integrity and respect in everything we do and say. » Empower and trust individuals to do and be their best. » Reward good contribution with compensation and growth opportunity. » Help millions find and create work environments that are meaningful and rewarding.